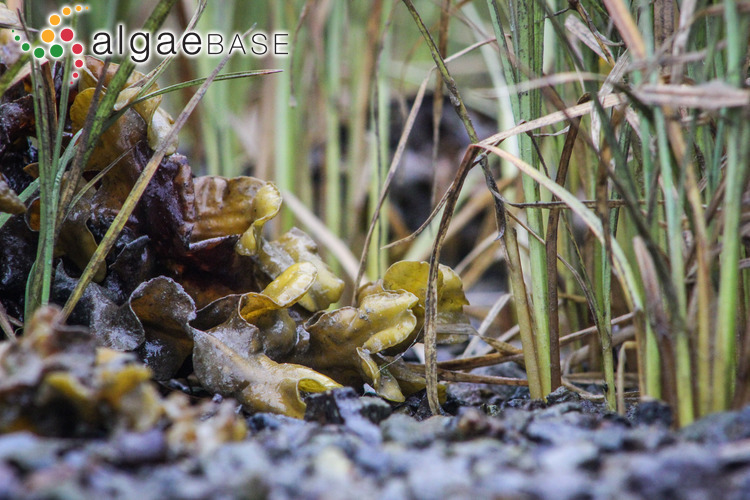 The mingling of marine and terrestrial: Fucus distichus and a terrestrial grass on the mudflats of Tofino, British Columbia. 24 Oct 2014. Bridgette Clarkston. © 2014 Bridgette Clarkston. False Klamath Cove, Del Norte County, California, USA; mid intertidal; juvenile. 04 Apr 2007. Courtnay Hermann. © Courtnay Janiak (theseaweedknot@hotmail.com). False Klamath Cove, Del Norte County, California, USA; mid intertidal; juvenile. 04 May 2007. Courtnay Hermann. © Courtnay Janiak (theseaweedknot@hotmail.com). Vancouver, British Columbia, Canada; reproductive intertidal plants on rock. 04 Apr 2004. Michael Guiry. © Michael Guiry (mike.guiry@nuigalway.ie). Vancouver, British Columbia, Canada; reproductive intertidal plants on rock; 16-mm lens. 04 Apr 2004. Michael Guiry. © Michael Guiry (mike.guiry@nuigalway.ie). 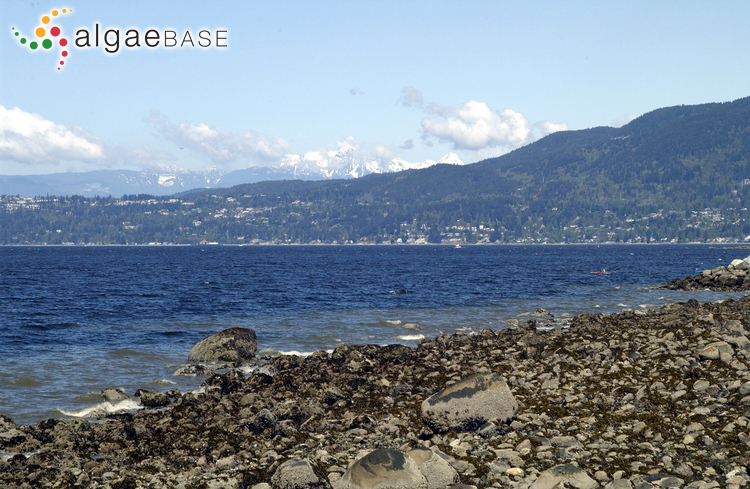 Vancouver, British Columbia, Canada; intertidal zone in Vancouver Harbour. 04 Apr 2004. Michael Guiry. © Michael Guiry (mike.guiry@nuigalway.ie). See Rice & Chapman (1985). English: Two-headed Wrack (Bunker et al. 2010). Type locality: Unspecified (Silva, Basson & Moe 1996: 901). Type: LINN No. 56 (Powell 1957: 413). Harvey, W.H. (1864). The Kilkee Fucus. Popular Science Review 3: 389. Petrov, J.E. (1965). Fucus distichus L. emend. Powell et Fucus evanescens C. Ag. Novitates Systematicae Plantarum non Vascularium 2: 64-70. Accesses: This record has been accessed by users 14064 times since it was created. Brawley, S.H. & Quatrano, R.S. (1979). Effects of microtubule inhibitors on pronuclear migration and embryogenesis in Fucus distichus (Phaeophyta). Journal of Phycology 15: 266-272. Carruthers, W. (1863). Fucus distichus Linn. as an Irish plant. 1: 353-355. Coleman, M.A. & Brawley, S.H. (2005). Variability in temperature and historical patterns in reproduction in the Fucus distichus complex (Heterokontophyta, Phaeophyceae): implications for speciation and the collection of herbarium specimens. Journal of Phycology 41: 1110-1119. Harvey, W.H. (1866). Notice of the discovery of Fucus distichus L. at Duggerna, County Clare, Ireland. Transactions of the Botanical Society of Edinburgh 8(1-4): 53-54. Kloareg, B. & Quatrano, R. S. (1987). 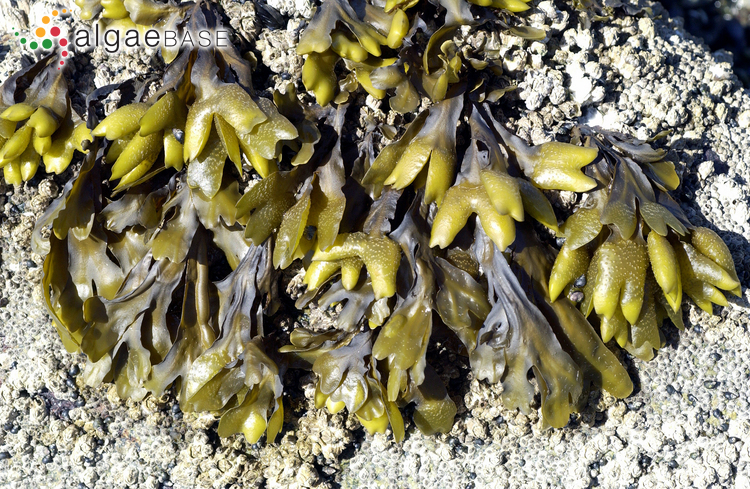 Enzymatic removal of the cell walls from zygotes of Fucus distichus (L.) Powell (Phaeophyta). Proceedings of the International Seaweed Symposium 12: 123-129. McLachlan, J. (1974). Effects of temperature and light on growth and development of embryos of Fucus edentatus and F. distichus ssp. distichus. Canadian Journal of Botany 52: 943-951. Motomura, T. & Nagasato, C. (2009). Functional and non-functional spindle formation affecting mitosis and cytokinesis in Fucus distichus zygotes: the role of the centrosome. Botanica Marina 52(2): 140-149, 38 figs. Nagasato, C., Terauchi, M., Tanaka, A. & Motomura, T. (2015). Development and function of plasmodesmata in zygotes of Fucus distichus. Botanica Marina 58(3): 229-238. Pearson, G.A. & Davison, I.R. (1994). Freezing stress and osmotic dehydration in Fucus distichus (Phaeophyta): evidence for physiological similarity. Journal of Phycology 30: 257-267, 7 figs, 1 table. Pollock, E.G. (1969). Effect of 17 B-estradiol on early cleavage patterns in the embryo of Fucus distichus. Experientia 25: 1073-1075. Powell, H.T. & Lewis, J.R. (1952). 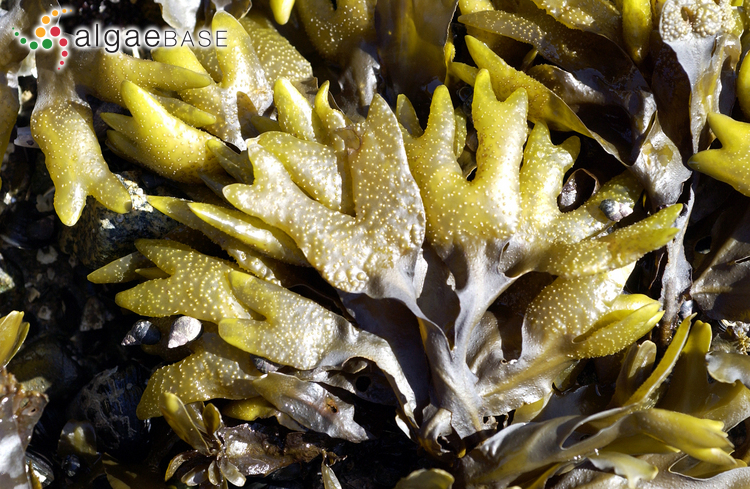 Occurence of Fucus inflatus L. forma distichus Börgesen on the North Coast of Scotland. Nature, London 169: 508, 509. Powell, H.T. (1957). Studies in the genus Fucus L. II. 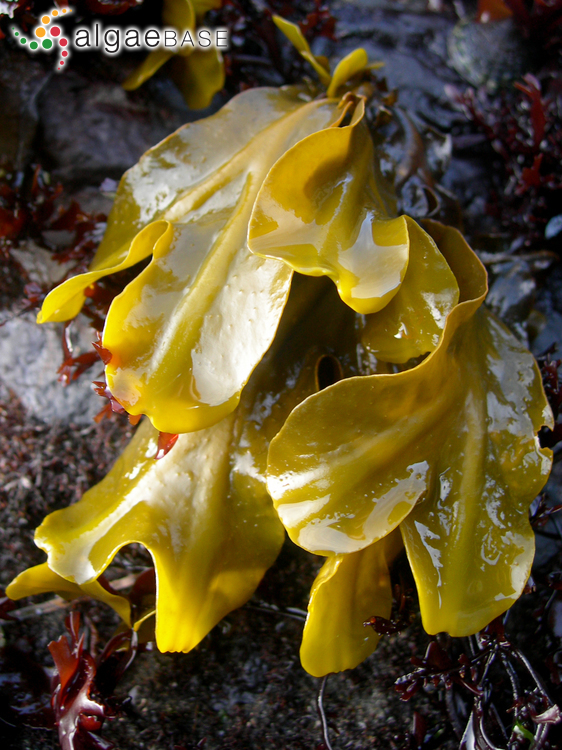 Distribution and ecology of forms of Fucus distichus L. emend. Powell in Britain and Ireland. Journal of the Marine Biological Association of the United Kingdom 36: 663-693. Powell, H.T. (1963). New records of Fucus distichus subspecies for the Shetland and Orkney Islands. British Phycological Bulletin 2: 247-254. Powell, H.T. (1981). 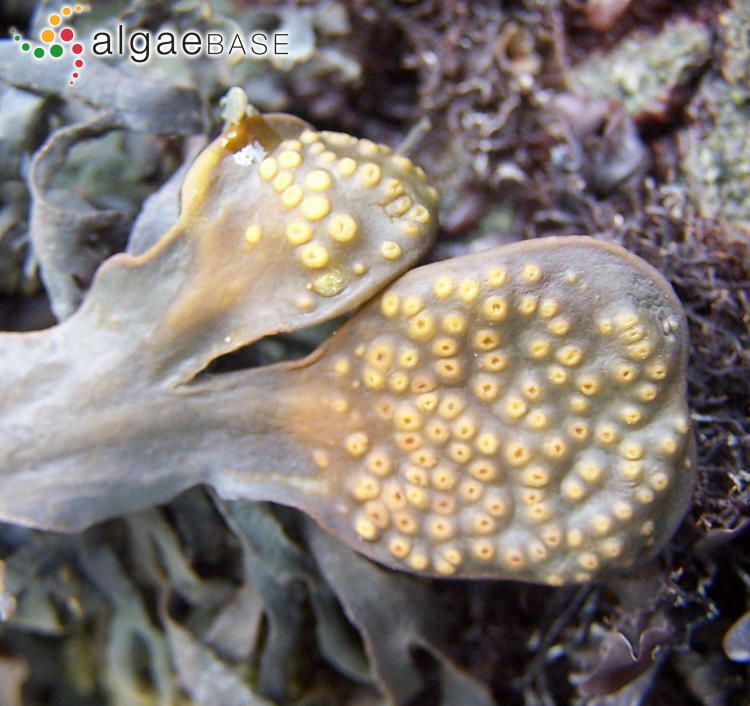 The occurrence of Fucus distichus subsp. edentatus in Macduff harbour, Scotland — the first record for mainland Britain. British Phycological Journal 16: 139. Quatrano, R. S., Hogsett, W. S. & Roberts, M. (1979). 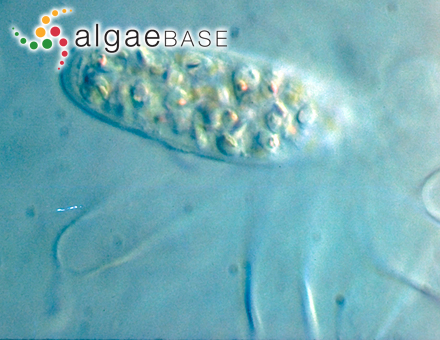 Localization of a sulfated polysaccharide in the rhizoid wall of Fucus distichus (Phaeophyceae) zygotes. Proceedings of the International Seaweed Symposium 9: 113-123. Rice, E.L. & Chapman, A.R.O. (1985). 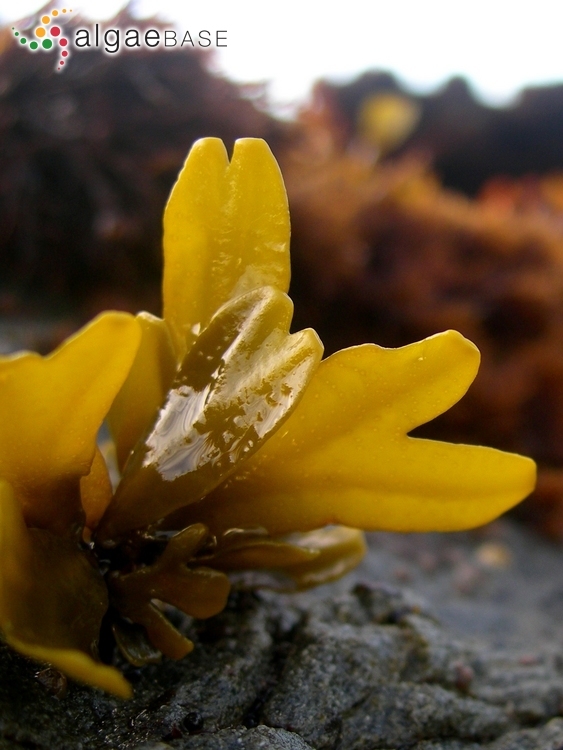 A numerical taxonomic study of Fucus distichus (Phaeophyta). Journal of the Marine Biological Association of the United Kingdom 65: 433-459. Rueter, J.G. & Robinson, D.H. (1986). 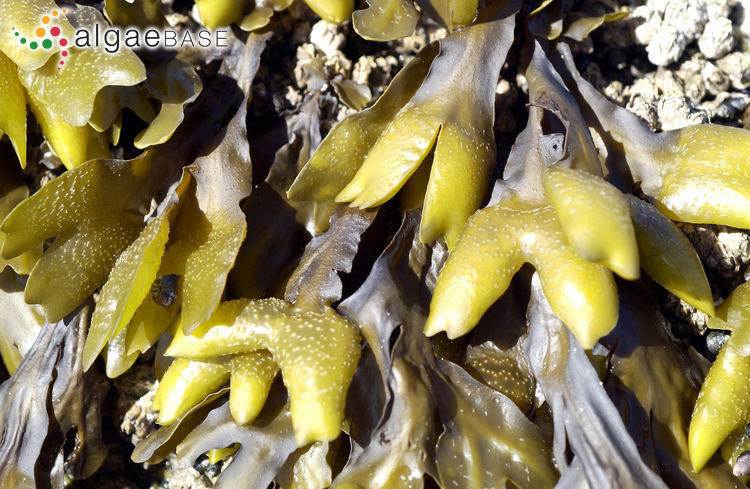 Inhibition of carbon uptake and stimulation of nitrate uptake at low salinities in Fucus distichus (Phaeophyceae). Journal of Phycology 22: 243-246. Russell, G. (1974). Fucus distichus communities in Shetland. J. Appl. Ecol. 11: 679-684. Schonbeck, M. & Norton, T.A. (1981). 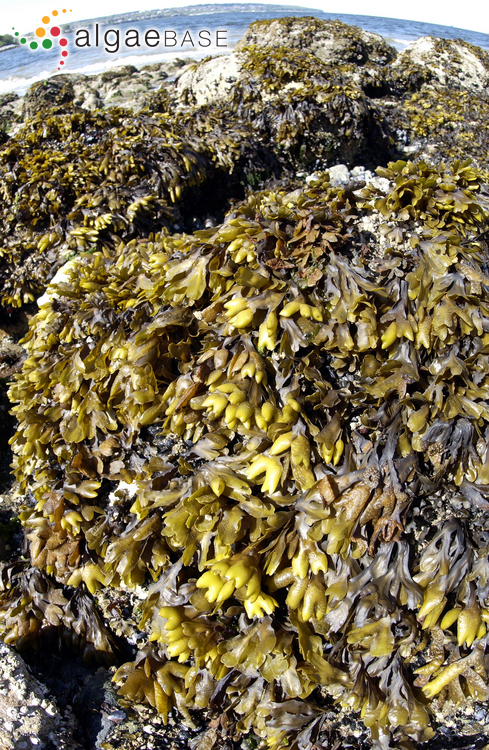 Growth forms of Fucus distichus in the San Juan Islands of Washington State. Proceedings of the International Seaweed Symposium 8: 475-483. Sideman, E.J. & Mathieson, A.C. (1983). The growth, reproductive phenology, and longevity of non-tide-pool Fucus distichus (L.) Powell in New England. Journal of Experimental Marine Biology and Ecology 68: 111-127. Sideman, E.J. & Mathieson, A.C. (1985). Morphological variation within and between natural populations of non-tide pool Fucus distichus (Phaeophyta) in New England. Journal of Phycology 21: 250-257, 10 figs, 3 tables. Strömgren, T. (1985). Effect of light on apical length growth of Fucus distichus ssp. 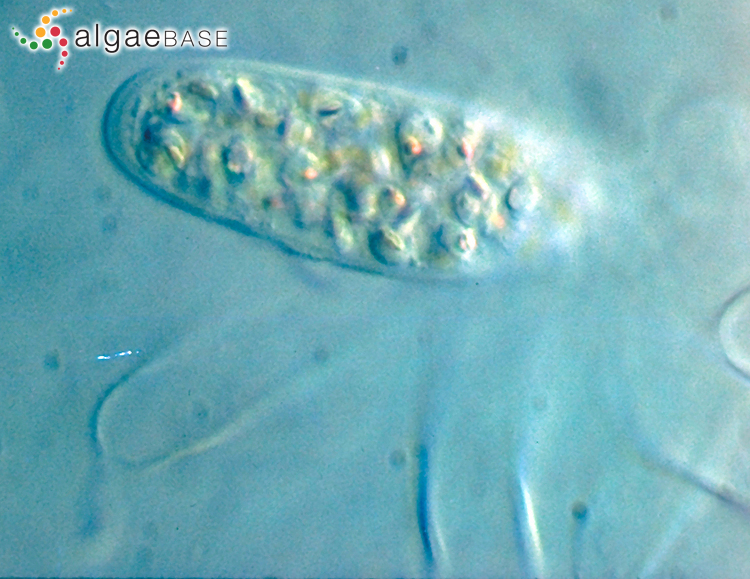 edentatus (Phaeophyta).. Marine Biology, Berlin 86: 263-269. Thomas, T.E. & Turpin, D.H. (1980). 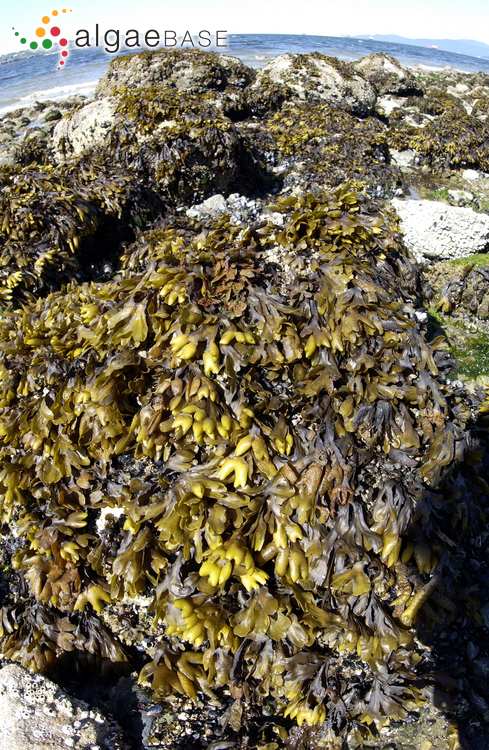 Desiccation enhanced nutrient uptake rates in the intertidal alga Fucus distichus. Botanica Marina 23: 479-481. Thomas, T.E., Harrison, P.J. & Taylor, E.B. (1985). Nitrogen uptake and growth of the germlings and mature thalli of Fucus distichus. Marine Biology, Berlin 84: 267-274. Van Alstyne, K.L. (1990). Effects of wounding by the herbivorous snails Littorina sitkana and L. scutulata (Mollusca) on growth and reproduction of the intertidal alga Fucus distichus (Phaeophyta). Journal of Phycology 26: 412-416, 6 figs, 3 tables. Vreeland, V. (1972). Immunocytochemical localization of the extracellular polysaccharide alginic acid in the brown seaweed, Fucus distichus. J. Histochem. Cytochem. 20: 358-367.